Propy has already started to remove the barriers to real estate ownership. Thus, it helps people participate in the market, as never before. Today, Propy users can easily list properties, send/receive offers, sign agreements, and close transactions from their own homes. Adding on to these convenient features is Propy’s innovative Crypto Certified Agent Program. Its unique design allows agents and brokers to get more clients and close more transactions. Here is how you can take advantage of it. 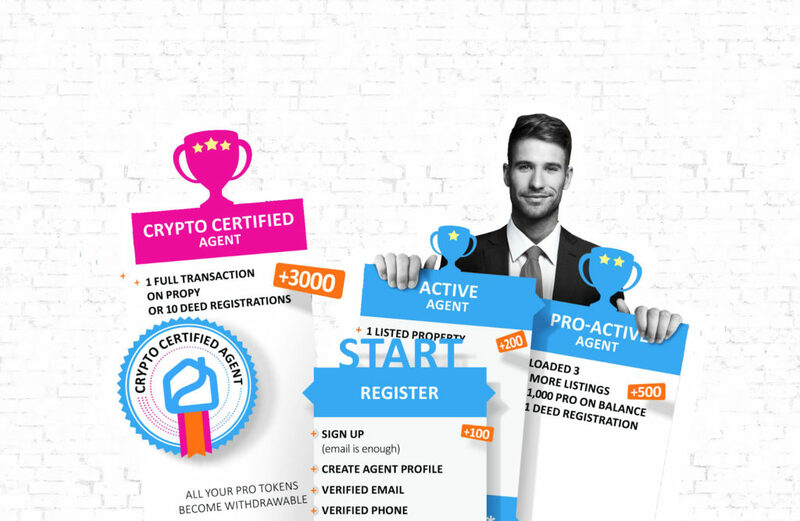 One incentive for becoming a Crypto Certified Agent at Propy is the ability to earn Propy tokens (PRO) for every action. Then, agents and brokers can spend these PRO tokens to help them increase their global exposure, enhance the marketing of their properties, receive a better position for a property on the Propy website, and more. Of course, the more active you are on the platform, the more tokens you receive. Indeed, this opens up more opportunities for your success as a Crypto Certified Agent. For a visual representation, please examine the image below. Signing up to become a Propy Crypto Certified Agent is simple. All that it takes is a verifiable email address and phone number. Then, you can fill out your agent profile and begin to climb the ranks. Of course, for signing up, all new users receive $100 in PRO. To advance to the next level (Active Agent), you must list one property. To unlock more features and earn more PRO, you must complete more actions on the platform. What Else Can PRO Do for You? There are a variety of additional promotions and actions that you can take to earn more PRO tokens and ultimately close more real estate deals. Actions such as referring an agent, checking in at properties using the mobile app, and sharing Propy listings on social media can help you earn additional PRO. Agents can then spend these tokens to register a deed on the blockchain, feature their listing on the Homepage for one month, and more. 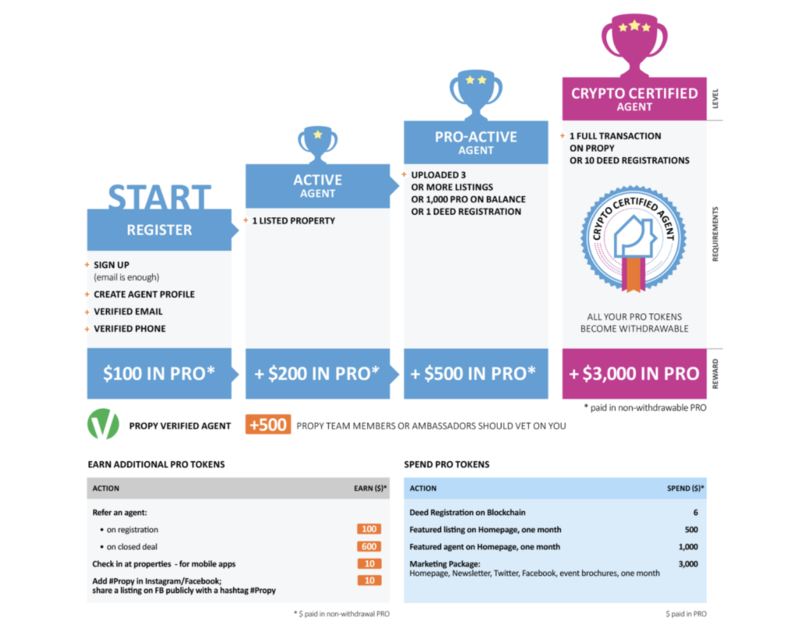 Propy’s Crypto Certified Agent Program can give you many benefits. If you want to join the Program, then please fill out the below form.